In recent years, the prize has belonged to the Paris-based Organization for Economic Cooperation and Development for reasons outlined in this interview. Indeed, I’ve even argued that subsidies for the OECD are the worst expenditure in the federal budget, at least when measured on a damage-per-dollar-spent basis. P.S. I’m not a fan of the United Nations, but that bureaucracy generally is too ineffective to compete with the IMF and OECD. P.P.S. 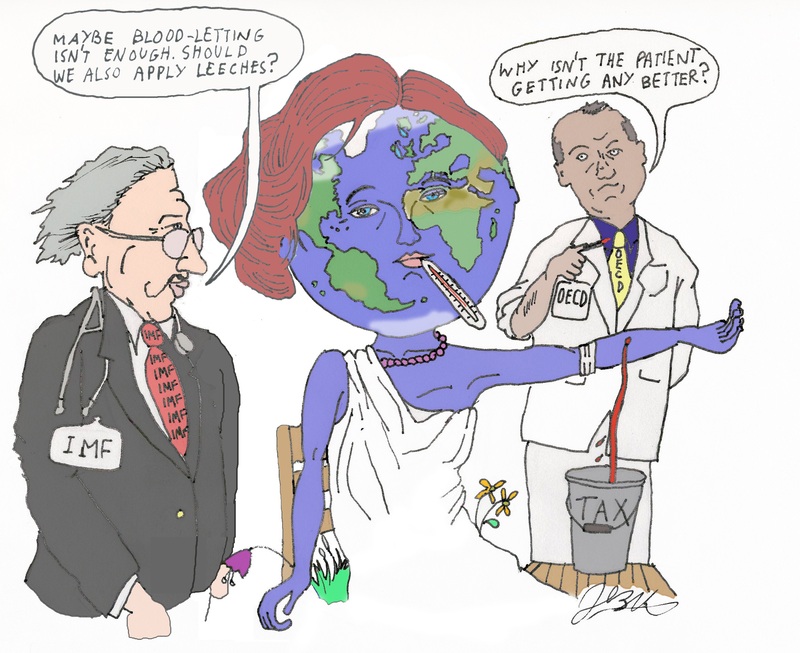 The World Bank also does things I don’t like (as well as some good things), but it generally doesn’t push a statist policy agenda, at least compared to the nefarious actions of OECD and IMF. How come Obama yawns when Russia invades and annexes Crimea, invades Ukraine, actively works against US interests in Syria to prop up his crony Assad, and helps North Korea evade sanctions… but then gets outraged when Russia dares to hack the DNC? How come when the Russians take out a few Facebook ads to promote ideas that may influence US elections then there’s outrage, yet when the IMF, OECD, United Nations, EU, officially promote higher taxes, more central planning, bigger government (and perhaps the American party that would support all that – hint, hint) then its regarded as normal? The battle is unbelievably tilted in favor of the “Deep International Bureaucracy.” They have been allowed to structure their wages/benefits immune from the costs paid by ordinary citizens they are purported to serve…..and they do that failing, in outcomes, costs, or efficiency. Politically, they are supreme….unless their Achilles Heal can be found. There is one…eliminate their tax exemptions, and their diplomatic privileges that make them unaccountable before the laws of countries in which they serve. Further, make the nations to whom they are citizens pay their salaries. 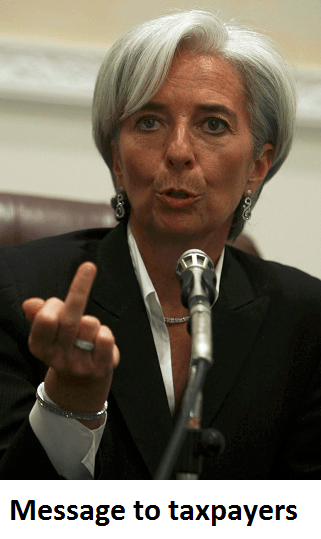 The fact that the head of the IMF is paid about $500,000, over TWICE that of a U.S. president, TAX FREE, ought to gag every elected official, and public employee, not to mention the people of the world. A self-serving, unaccountable, costly, and over-staffed, body of privileges, cannot go on. Tear down this bureaucratic aberration.